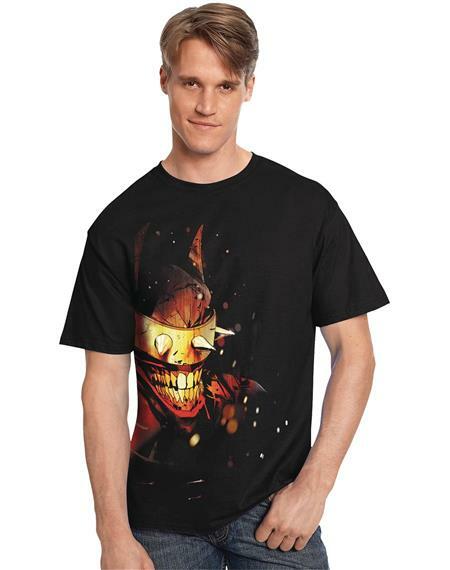 The Batman Who Laughs returns on the great new Laughing Batman T-Shirt. Features the art of Jock screenprinted large-sized in full-color on a black Hanes Brand Nano, 100% cotton tee. You can't keep a good Bat down!! NOW AVAILABLE for sale in Canada and U.K.